Dr. Kennedy is an orthopedic surgeon practicing in New York a hospital for special surgery. Dr. Kennedy’s practice is centered around the treatment of sports injuries to the ankle with a specific interest in chondral injures to the talus and tibia. Dr. Kennedy graduated from the royal college of surgeons Dublin in 1989. He completed his general surgery fellowship in 1993 and completed his orthopedic board exams in London in 2000. 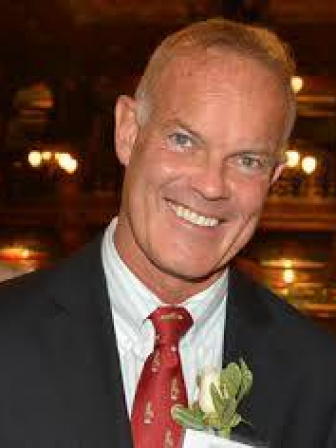 Dr. Kennedy has trained in Dublin as well as Boston and New York completing both research and clinical fellowships. Dr. Kennedy has two post doctoral masters degrees in medical sports science and in surgical sciences, completing the latter in the Enders laboratory in Harvard medical school. Dr. Kennedy has co-authored over 170 peer reviewed manuscripts, multiple books and book chapters. Dr. Kennedy travels a great deal in the last several years lecturing around the world on ankle sports injuries. As a result of these travels many international surgeons and trainee surgeons spend time with Dr. Kennedy at HSS collaborating in both clinical and research projects. In 2011 Dr. Kennedy along with colleagues Dr. Rick Ferkel, Niek van Dijk and Chris Murawski set up the first international congress of cartilage repair of the ankle (ICCRA). Since that time surgeons from over 40 different countries have attended one of the many conferences organized by this group. The ICCRA is proud of its close association with ICRS and in particular this year with an ICCRA pre-course in Sorento.